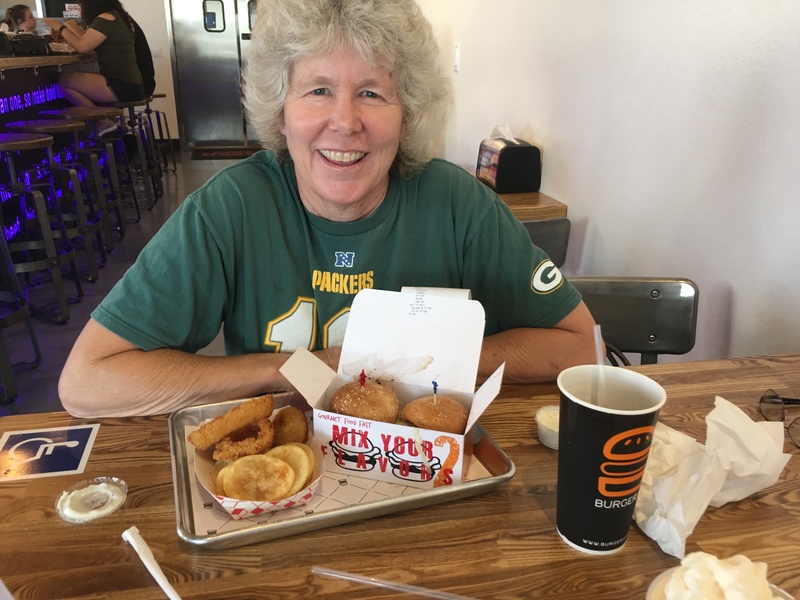 MARILYN with her lunch at the Burgerim in Orange. And yes, she is a major Packers fan. Truthfully, she’s more of an Aaron Rodgers fan than a Green Bay girl (Orange County Tribune photos). There was a time – in the days when dinosaurs roamed the Earth – that you only had two fast food choices for hamburgers. There were the local ones, like The Pink Spot (anyone remember that?) and McDonald’s. Now, there are more burger places than you can shake a cross-cut fry at. 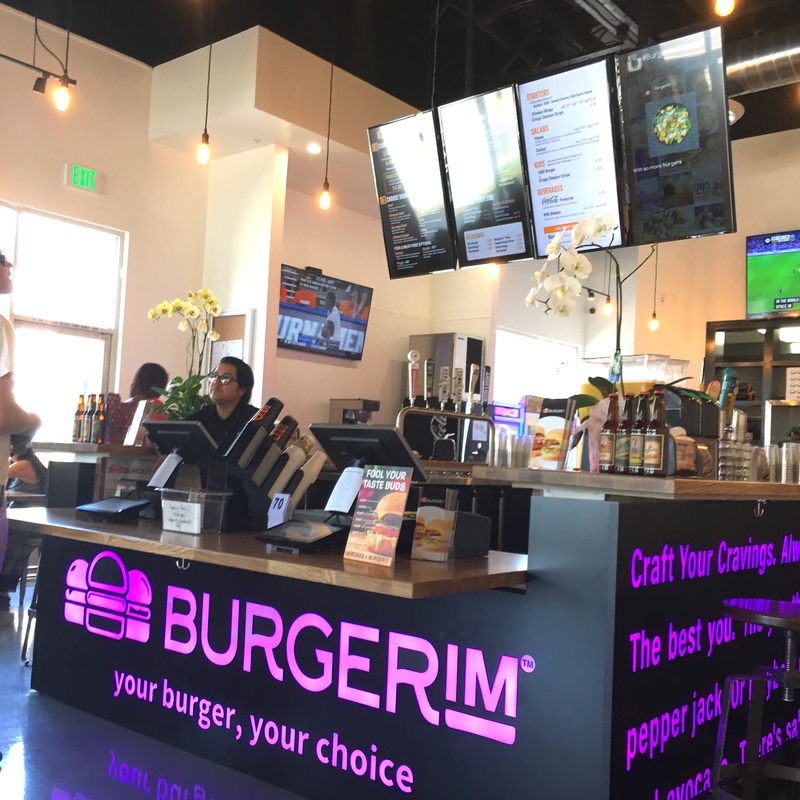 One of the best new entries is that field is Burgerim, which has recently landed in Orange across from the Mainplace Mall in Santa Ana. 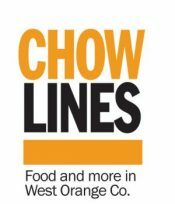 (Note to readers: Although The Tribune’s coverage area at present is Garden Grove, Huntington Beach, Stanton and Westminster, we recognize that some of us like to explore choices, especially new ones, all across west and central Orange County. This is one of them). There is a lot that’s unique about this bright and modern new chain. Born in Israel, it uses smaller-scale burgers – roughly 60 percent the size of a typical patty – and offers them in a dizzying variety of meats, and also fish and chicken. Most people order one of their popular combos, which offer one, two or three patties. From there the choices multiply almost exponentially. What kind of meat do you want? There are 11 choices. Sauces? Five choices. Buns? Three choices. Toppings? Twelve, including fried egg. We each ordered the Burgerim duo, which comes with your highly individualized burger, fries (or onion rings, or a combo of two) and a soda from their Coca-Cola Freestyle machine. Our orders were pretty similar; Jim doesn’t care for sauces, but loves blue cheese. Marilyn pronounced the house sauce as excellent. We both were impressed by the fry-rings combo, and Marilyn praised the house sauce highly. She was also impressed that a variety of condiments such as ranch dressing was available. The burgers, however you order them – this was Jim’s second visit – are excellent. More expensive than an In-N-Out (and there’s no drive-thru) or Five Guys, but the whole package is yards better. However, the choices are so dizzying in their array of combinations that you probably need to stare at the menu board long and carefully before deciding what to order. Jim recommends going to the customize area of the board when making your very first visit. But maybe you’re more decisive than he. LOTS OF choices from which to order at Burgerim in Orange. The Burgerim in Orange is a fun place with TV screens on the walls and a lot of pleasing natural light. The staff is eager and helpful. In addition to the burgers, there are salads (and more) available, and beer and wine can be purchased. And, if you’re an on-duty paramedic, firefighter or police officer, your order is 50 percent off the regular price. There are now, in these modern times, a lot of burger choices in Orange County. If there’s a club of the top five, this Burgerim just crashed the party. Burgerim in Orange is located at 763 S. Main St. (in the same center as Barnes & Noble bookstore). The hours are 11 a.m. to 10 p.m. Monday to Friday and 11 a.m. to 11 p.m. Saturday and Sunday. Phone: (714) 550-1111. Website:www.burgerim.com.